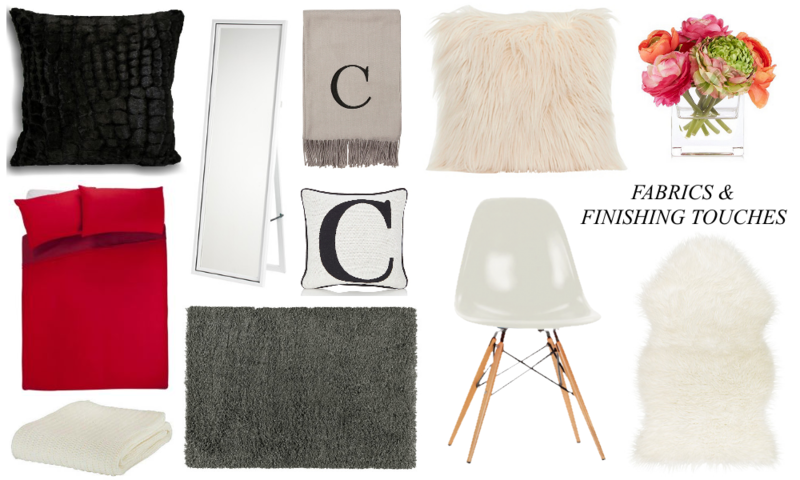 Judge me all you like for my serious love for throws, fur and anything with the letter C on for this wishlist, but I'm trying to plan on what my new bedroom will finally look like now that I have my new curtains ordered. I went for a cream/red/pink floral design that's actually quite pretty but now means instead of my monochrome themed room I planned all this time, it's going to have injections of red. Which will work out quite well considering my red bathroom and the fact that I actually really like the colour red! I want it all to be quite plain but bold since my curtains are floral, but I think having little bits of floral and clash here and there will work for me and my personality! I can't wait to see what I'll finally put together, and I am on a bit of a budget, but these are the things I'm looking for at the moment. It won't come together all at once but once it does I'll be sure to do a bedroom tour post, which I'm going to extremely look forward to. It's so nice to finally be at the stage where I can buy things for my room or even think about it! What are your favourites on this wishlist, and what do you think of my re-invented colour scheme? I've been picking out a lot of red items for my new room too - struggling to find curtains I like though at the right price!